It’s good to have a structure when running any type of simulation training. 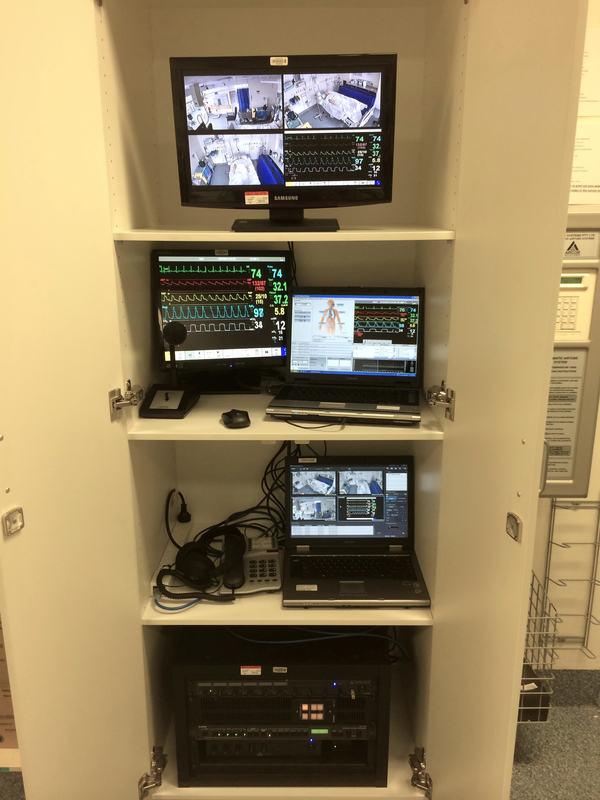 In-situ simulation, by definition, occurs in a busy workplace and this structure may go out of the window as either faculty or participants are called away to look after real patients. What follows is a recipe I have used to get in-situ scenarios running regularly and efficiently. 1) As much as possible, have things set up all the time. This may not be feasible depending on your workplace. 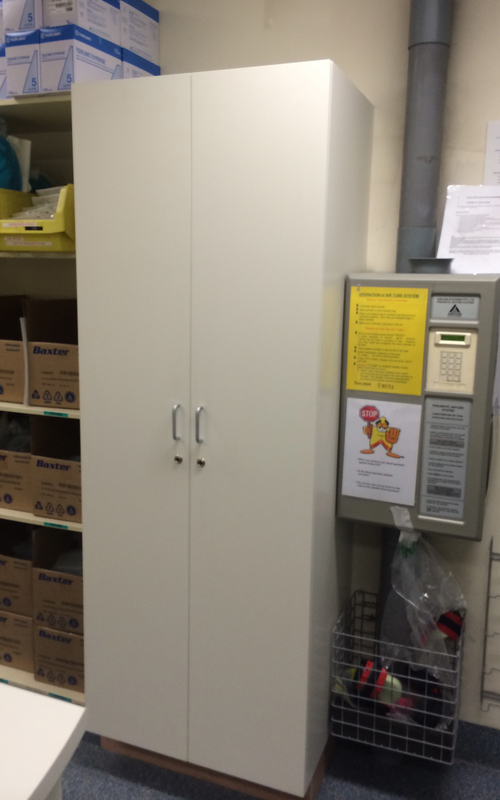 At the Royal Prince Alfred Hospital in Sydney, the AV and simulation equipment is concealed in a cupboard and can be up and running in seconds. The manikin is left in his own bed, in his own bed-space with the curtains drawn. This allows for scenarios to be run at very short notice. As a general rule, tubes and lines should be left in place after a scenario, so that they don’t need replacing next time – it’s easier to remove them than replace them! 2) Have a roster for which doctors and nurses will be participating in scenarios, and who might choosing the topic area to be covered. In this way, the learning objectives of the scenario can be thought about in advance. Alternatively you can use a bank of scenarios and allocate them to dates in advance. I prefer to run training ‘on the fly’ – deciding on a scenario on the day based on recent events (adverse or otherwise) or an interesting patient. 3) A brief faculty meeting should occur before the scenario. This can take a matter of minutes and is to discuss the learning objectives, storyline, participants, equipment and technical aspects, moulage, and ‘ways out’ if the scenario is not going well. The ‘helper’ can also be briefed at this point. You can use a scenario template as a prompt, but it is not necessary to fill one out for all scenarios. See ICU Sim scenario template for an example, (Word version available here). 4) Scenario set up and check. This can include writing patient notes or clerking the patient into the test area of the electronic patient record. This really adds to the realism of the scenario. 5) Pre-briefing. This should occur away from the bed-space, ideally in the viewing room. All participants and observers should be present. The ground rules should be covered in detail before every scenario (see ICU Sim Ground rules – Kelly manikin for an example). This is so the participants know the manikin, bed-space and helper nurse, know what is expected of them, and that they are in a protected learning environment. 6) Patient handover can occur in the viewing area in front of the observers, or in the bed-space. Some form of handover is essential unless the element of surprise is desired (e.g. in a sudden cardiac arrest). 7) It’s a great help to the observers if they can see the results of investigations requested by the participants. This can be achieved by making a Powerpoint presentation of X-rays, blood gases etc which can be shown at the appropriate times in the viewing room. A phone call can be made to the bedside, for example, the on-call consultant can call for an update and can offer advice. 9) When learning objectives have been achieved, or when it is time for debrief, bring the scenario to a close, invite the participants to leave the bed-space quickly and meet you in the debriefing/viewing room. Don’t clear up at this point – it is important that feedback is given in a timely fashion.